No matter where you find yourself in Canada, snow is never far behind. This snow blows in with no effort at all but it sure takes a lot to get rid of it. 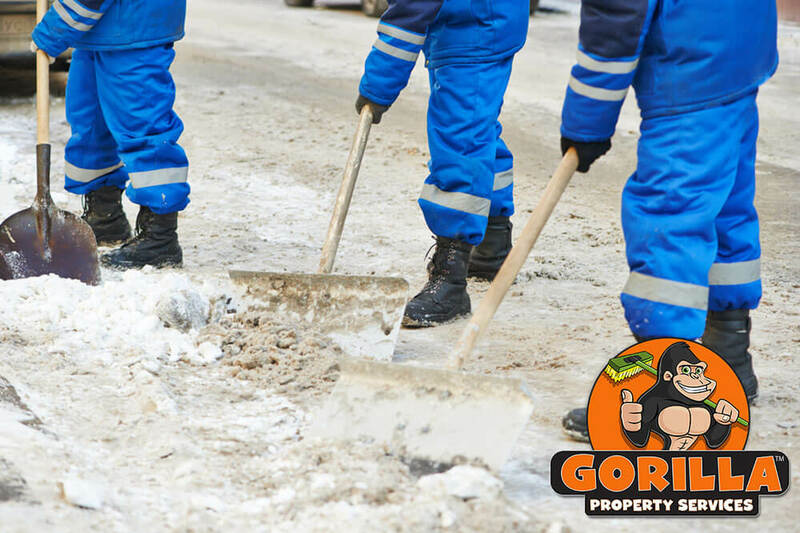 Getting rid of snow on even the smallest of properties can take a lot of manual labour, so why not off-load the stress? 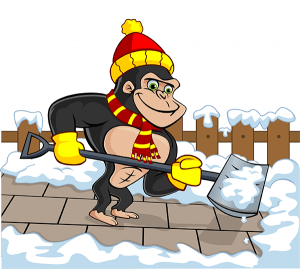 Our Gorillas are always ready to perform your Grimsby snow removal and salting. On average, Grimsby sees an annual snowfall of around 4 feet. It can build up gradually or come down in dumps, but no matter how you divide it, that is a lot of snow. Dealing with a light dusting can be simple enough to tread through but it can create slippery surfaces. Having snow on your residential or commercial property can create a treacherous environment for customers and guests alike. Snow might be the most recognizable sign of winter but ice is not far behind. Having ice around your home or business is bad news for everyone involved. There are so many reasons that the winter season can be overwhelming for property owners and snow removal is one! Clearing away snow from a small sidewalk might not seem like a big issue but as spaces get larger, so do your efforts. Not every property owner has a plough or snowblower in their garage – and why would you? These machines take up space, are expensive and can be difficult to operate in the wrong hands. Instead of struggling with these tools, call in a Gorilla to make your life easier. Our Grimsby snow removal and salting can be made to fit any area of your property. Since our Gorillas can accommodate commercial, residential, or multi-unit properties, there is no reason not to call!